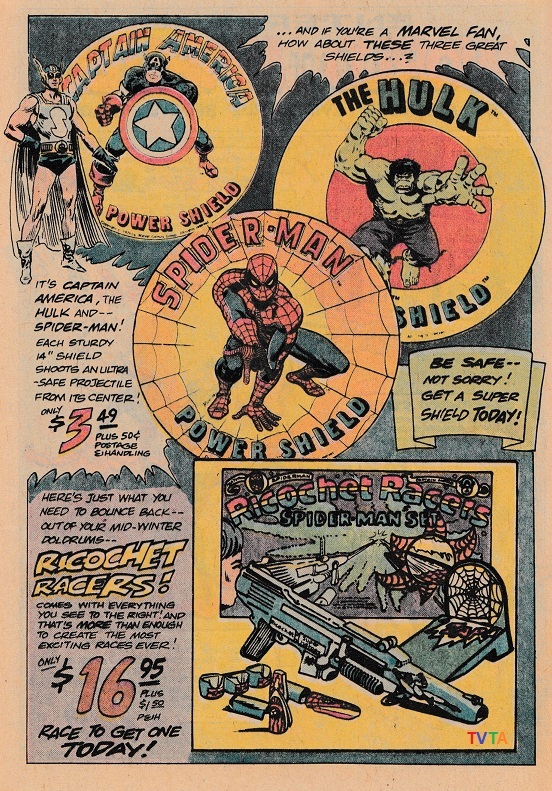 … courtesy of The Superhero Book of Goodies catalogue, issue 2, 1977, with cover drawn by Joe Kubert. 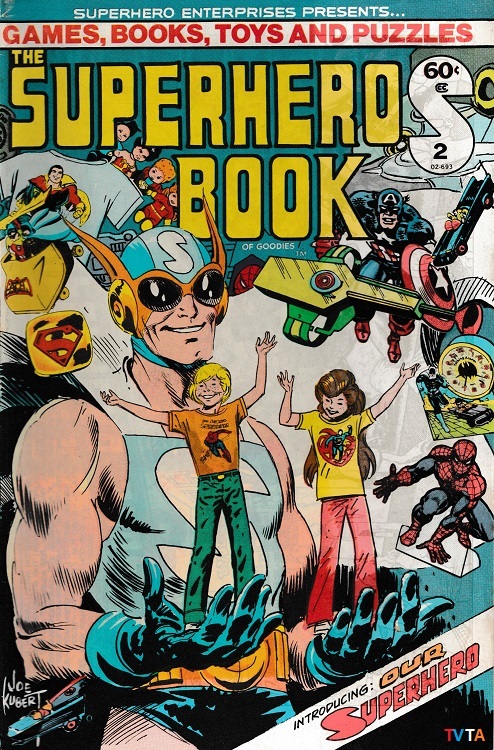 The Superhero Book of Goodies was the colourful product catalogue for Ivan Snyder’s New Jersey-based mail order and retail store company Superhero Enterprises, later known as Heroes World. 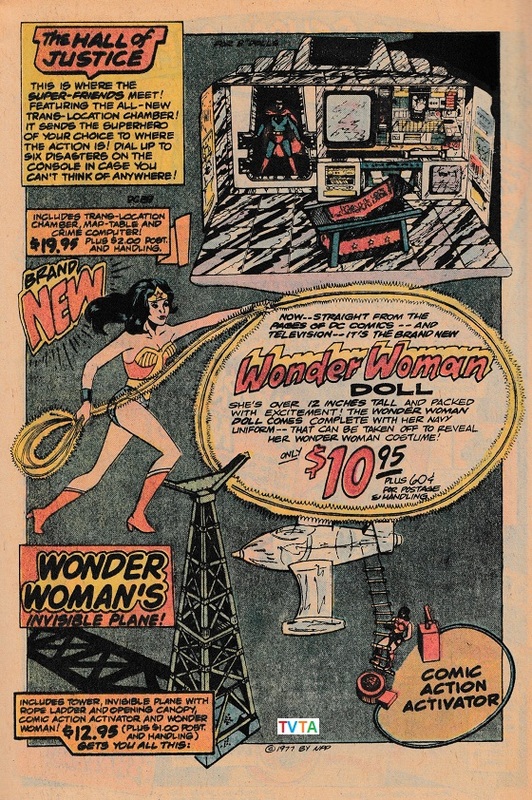 The company was a leading US comic book and merchandise distributor from 1975 until its demise in 1997 following its buy-out by Marvel comics. 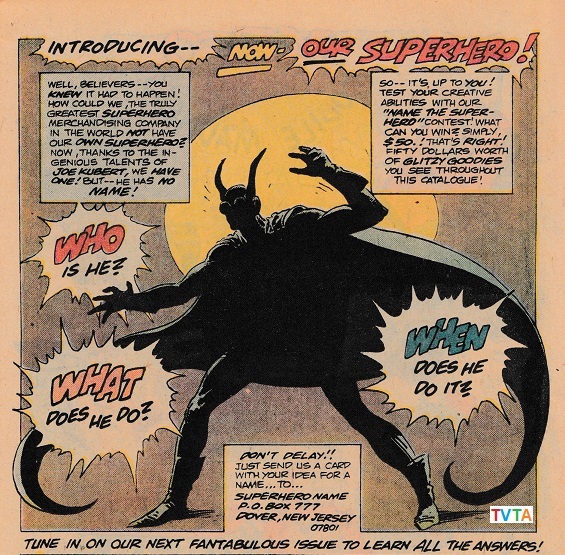 The catalogues featured the company’s very own superhero mascot – ‘Our Superhero’, sometimes referred to as ‘Snyderman’, and were produced in conjunction with Joe Kubert’s School of Cartoon and Graphic Art. 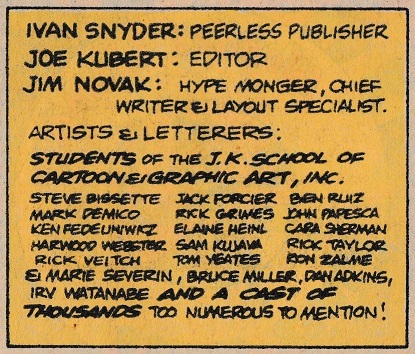 Some famous comic book names below that were former students. But can you spot the future famous TV zombie holocaust survivor? 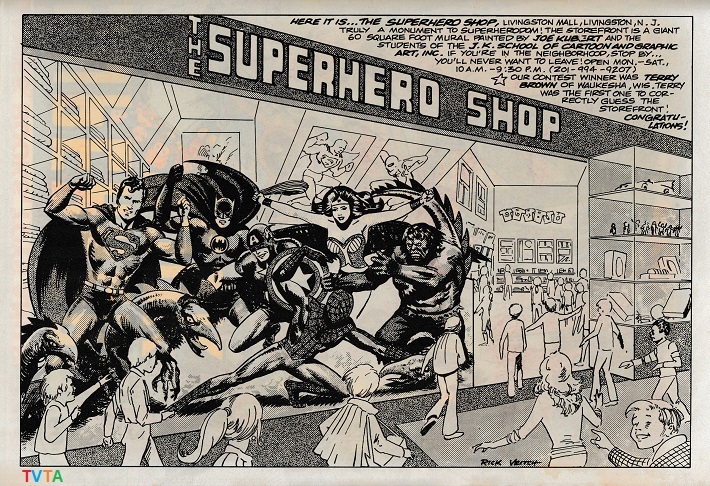 Name the Superhero contest … did this happen? So was he called Our Hero or Snyderman? If not then what name? Who won the competition? Did issue 3 tell us? 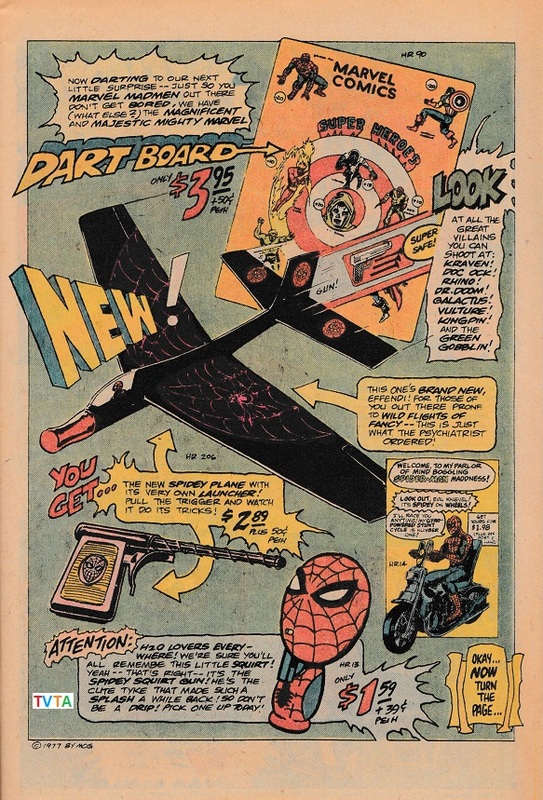 Do you have issue 3? Can you enlighten us? Argh, so many questions! 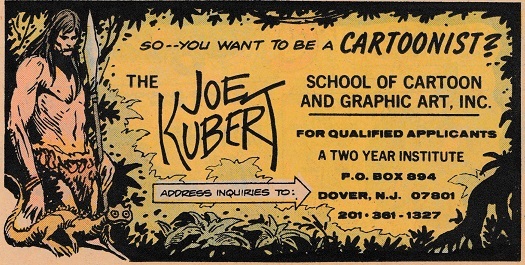 Sources: The Kubert School. Wikipedia. Gone and Forgotten. 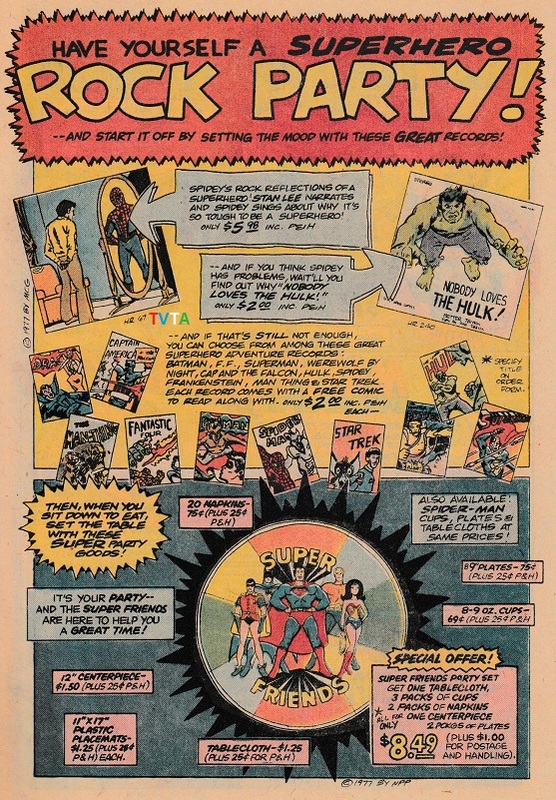 Consulted 12/05/18, and The Superhero Book of Goodies Issue 2, 1977 scanned by TVTA. 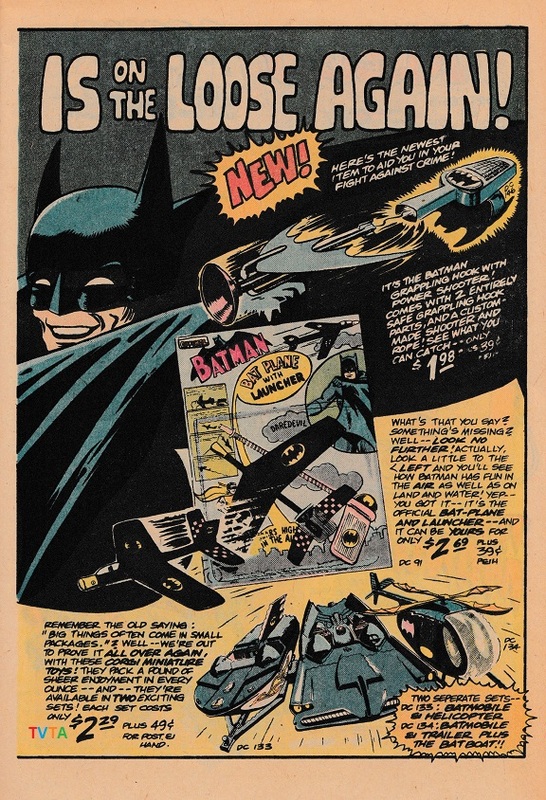 This entry was posted in COMICS, HEROES WORLD and tagged Batman Bat Plane with Launcher, Batman Grappling Hook, Batman toys 1970s, comics, DC toys 1970s, Heroes World, Heroes World Our Superhero, Heroes World Snyderman, Joe Kubert, Joe Kubert's School of Cartoon and Graphic Art, Marvel and DC stamps 1970s, Marvel and DC Superbaby Rag Dolls 1970s, Marvel Dart Board, Marvel toys 1970s, Ricochet Racers Spider-Man set, Spider-Man Spidey Utility Belt, Spidey Plane, Spidey Squirt Gun, Super-Friends Hall of Justice play set, Superhero Enterprises, Superhero Mirrors, Superhero shooters and Shields, Superman Postcards 1970s, The Superhero Book of Goodies, The Superhero Shop, vintage toy advertising, vintage toy adverts, vintage toys, Wonder Woman toys 1970s on May 12, 2018 by The Vintage Toy Advertiser. 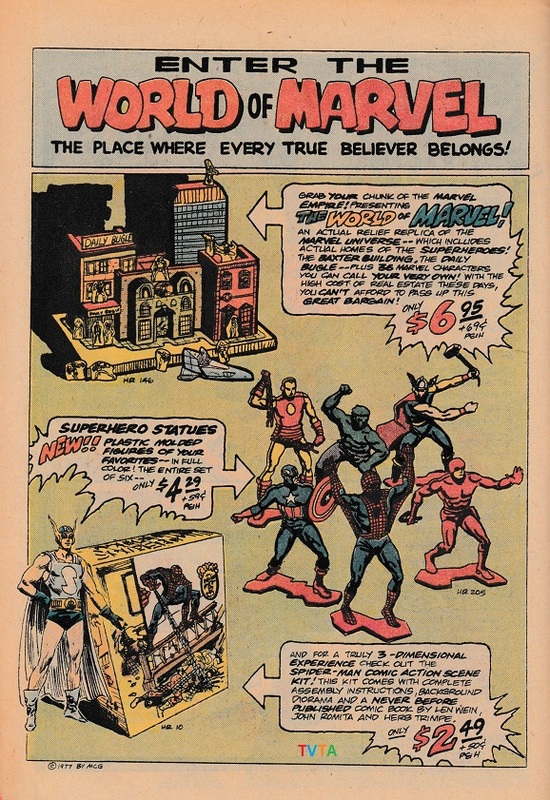 Another MARVEL-lous collection! I can see my Corgi Bat Speedboat! 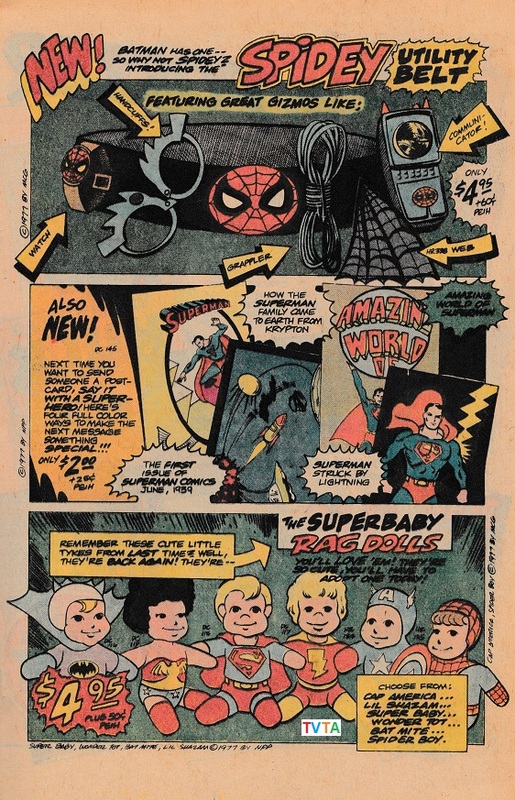 I can’t believe the shipping prices for some of these toys 39 cents! I just priced up how much an empty lightsaber handle would cost to be sent to me and it was $60/£45! Yikes. I’m glad they included some Corgi Batman. Yes, a world of difference in shipping – and the item prices too… those Corgi vehicle sets just $2.29 !! Hi again. yes it is sort of depressing how prices have risen so much. And for me in the outer rim of the UK it is probably going to get worse with leaving Europe. That’s why I hope to get my saber parts sooner rather than later! Ugh, sadly you’re right. I don’t even want to think about the future hassles and cost of postage/travel/forms to be filled in between the UK and here following the absolute shambles of Brexit. Yep, long live the blogs and may WP continue to thrive and support us. 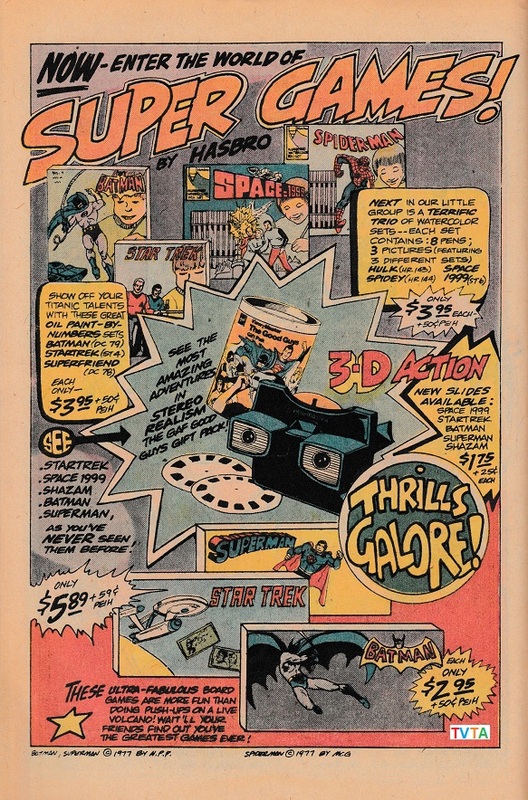 What a great collection of adverts, especially the mego toy superhero figures, those were such fun! I remember my sister bought me The Thing action figure when I was ill in hospital once as a kid, I’ve still got it somewhere. 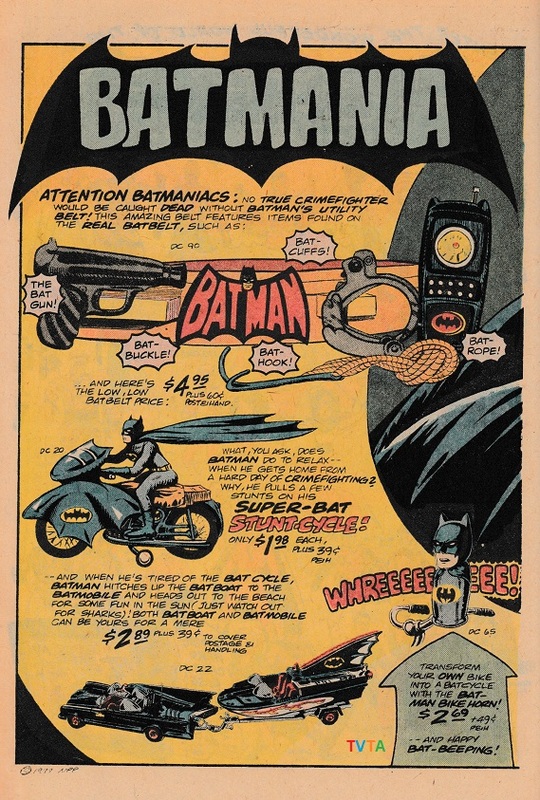 I remember having that Batman Utility belt as well, brilliant fun! LOL I was such a geeky kid! Thanks Paul. Cool you had the Batman Utility Belt! They had an incredible amount of products in the range. My next post will show off some more of the badges, posters and some great tee shirts. I even saw some Star Trek patches! Hi Nancy. 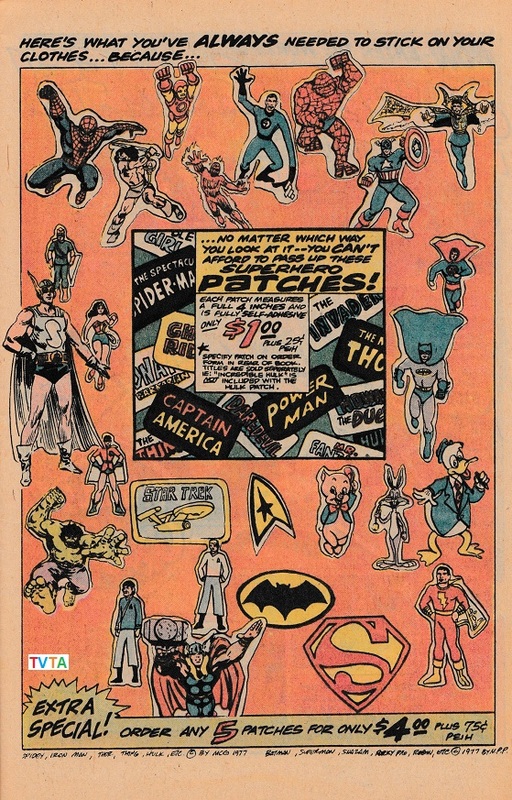 Those patches are nice. 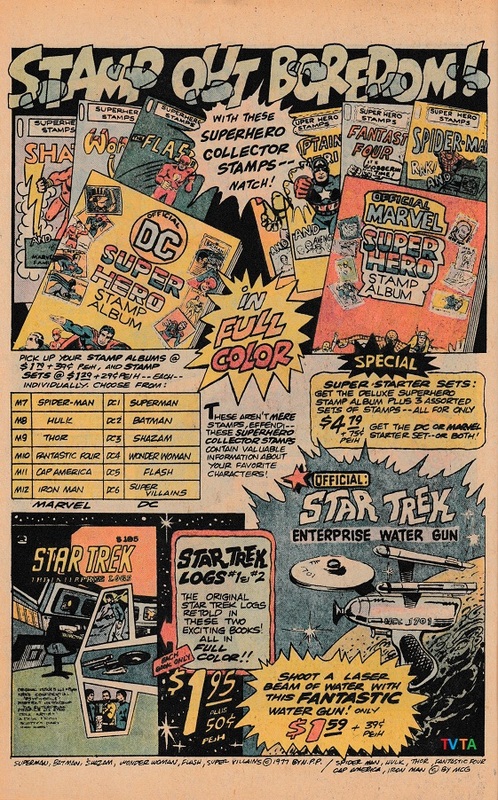 Trek seems to have featured a lot when I look back at some of the other ads. 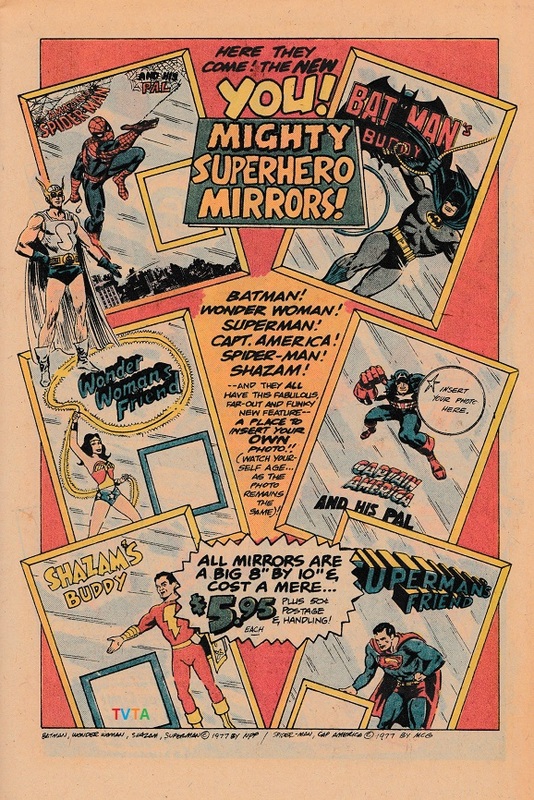 These are great… I like how they had their own superhero, too. 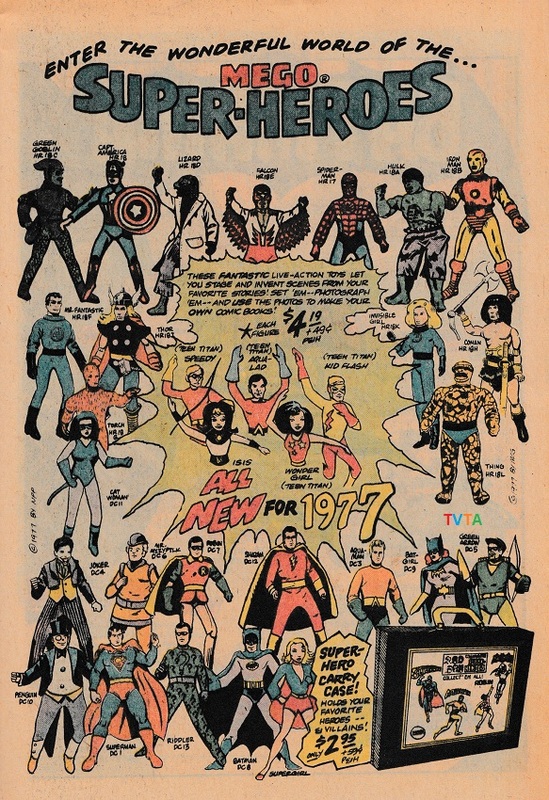 Did Marvel keep Heroes World as some sort of Marvel Heroes World or just buy them out to shut it all down? Ah, sorry, I overlooked that link. That’s quite the impact, eh? Inadvertently shutting down distributors and retailers? Jings. No kidding! 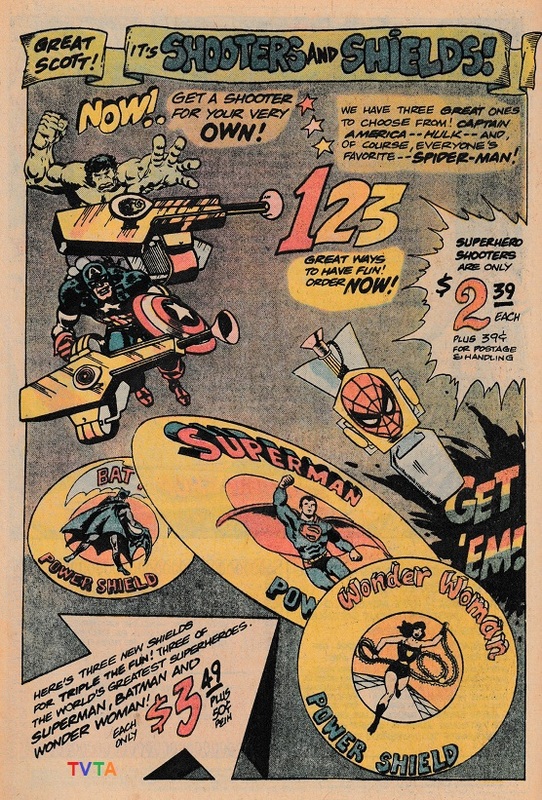 I remember seeing ads for some of these and did have a few like the Mego Superman figure that I still have but is in terrible shape.